Do you have a cracked screen? Phone not loading? Speakers are crackly? It's time to get your phone back up and running properly. 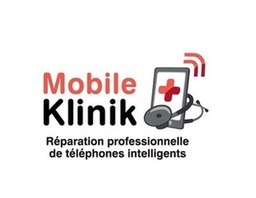 The cell phone technicians at Mobile Klinik in CF Galeries D'Anjou are on hand to repair most problems in 60 minutes or less and are backed up with a lifetime guarantee.